Court documents show the mother was told her baby girl was being taken to an elder. Court documents have revealed the tragic final moments of a tiny baby's life before she was found washed up on Surfers Paradise beach on Monday morning. While the nine-month-old's homeless father - who cannot be named along with other family members for legal reasons - has been charged with her murder, it is understood her young mother has been released from custody without any charges and may be treated as a witness. Today, the reason behind the police's decision to let the mother go has become clearer as court documents, seen by the Gold Coast Bulletin, reveal fresh police allegations that the 47-year-old dad told the mother he was taking the baby to an elder, but murdered her instead by throwing her into the Tweed River - 30km south of where the tiny girl was found washed up. The Aboriginal women and men who spent time with the homeless family told The Australian the 47-year-old father-of-two "sung" his young love interest. Edy Johnson, 53, a woman who lives at Jack Evans Boat Harbour in Tweed Heads, on the New South Wales and Queensland border, said being "sung" to means you can't move on past the relationship. "They can put a song in that person's head and it makes them come back to that person that sung them," she told the newspaper. "Once you are sung, you can't get out of that relationship and that's what happened here." A family member of the mother, reportedly told the Daily Mail, he approached her and began a conversation before the pair quickly "hit it off". 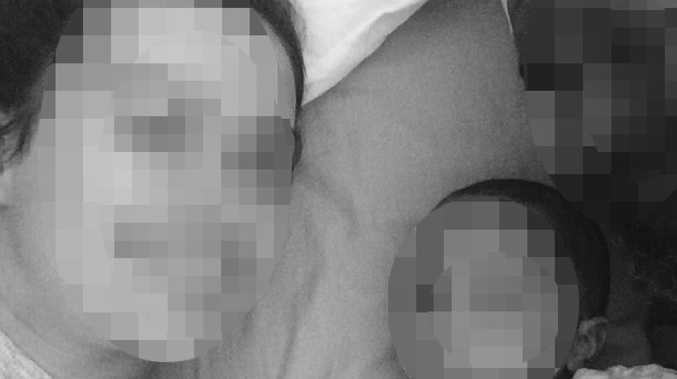 A friend of the family, Kirsty Davis, told The Australian the parents ­approached her at Tweed Heads, just south of the Gold Coast, on Saturday and asked her to take the child as it was "too fair-skinned". "I wouldn't have minded raising the child but I'm living on the street and I'm not stabilised," Ms Davis told the newspaper. "If I had a place, yeah, I would have." Earlier this week, a court heard that the baby's father was a "violent schizophrenic" who had threatened a council worker two months before the baby's death. 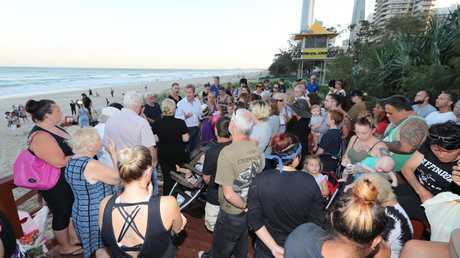 Police prosecutor Senior Constable James Treanor said that after the council worker told the family to move on from sand dunes at Broadbeach about 10.20am on September 5, the man hurled a beer can and abuse at him - calling him a "dog" and a "murderer". The court was told the father was trying to protect his family and that he had a history of alcoholism, drug addiction and violence. 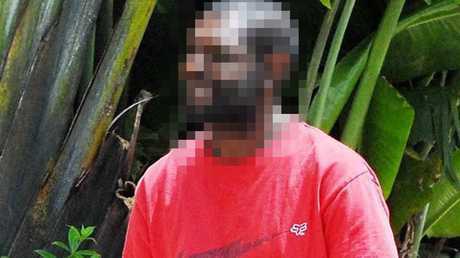 He pleaded guilty to public nuisance and was sentenced to 12 months' jail. Sunil Dutt, of the Aboriginal and Torres Strait Islander Legal Service, said on Wednesday his client had been in and out of foster care and endured a "very hard life". He was remanded in custody after appearing in Tweed Heads Local Court via videolink on Thursday. He was charged with murder after the girl's body found on a Surfers Paradise beach by passers-by early on Monday. 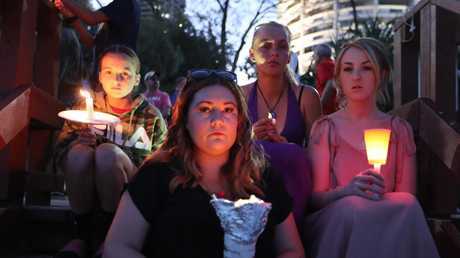 "It was really just trying to direct everyone's generosity to the right support services and charities available," organiser Lauren Paris told the Seven Network. "The full circumstances of how that child got in the water is unknown. 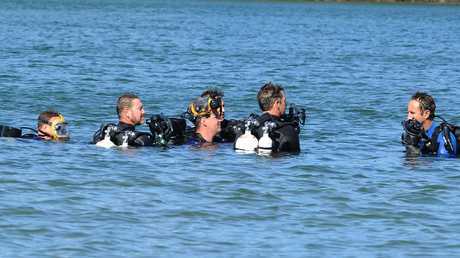 We're hoping divers may assist us, we're hoping members of the public might assist us, we're hoping CCTV might assist us. These are the things that will piece together what's happened here," he said.